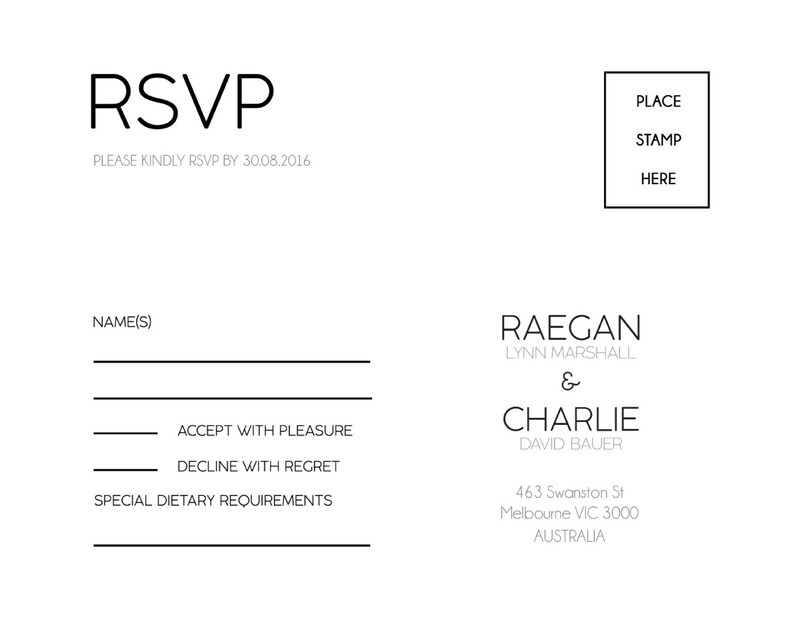 This RSVP card is from the bold wedding invitation set, 'Lines'. This design features a modern geometric print and comes in black, salmon and pea green. With the use of white space, these invitations are kept fresh and are perfect for a spring wedding. This print is available in digital. 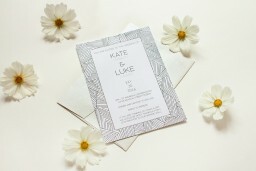 The black and white geometric lines are giving such a modern and unique look to this card. It is a treat for all the couples who are bored of the traditional wedding cards with floral patterns.